Receive a $5 statement credit when you spend $35 or more on Amazon.ca on October 5th only! This one is easy but you do have to register your card via the link the email. 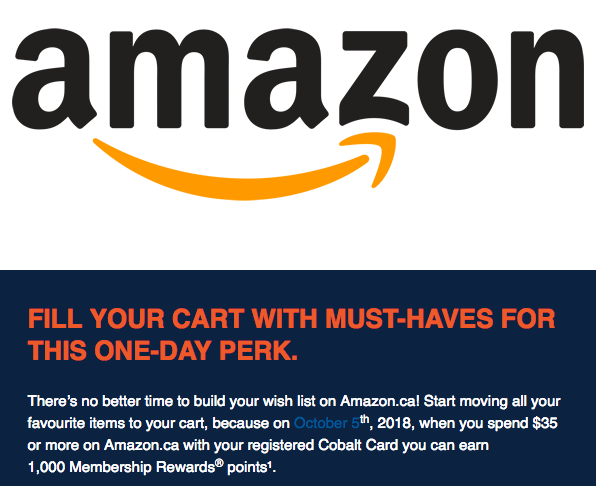 Remember to go through a mileage earning portal like AIR MILES Shops or Aeroplan eStore to earn miles on those Amazon purchases! 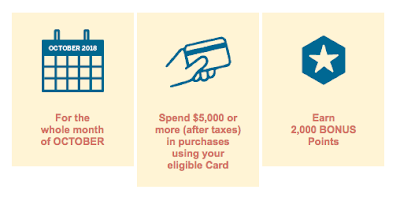 Receive 2,000 Bonus Membership Rewards Points when spend $5,000 or more for the month of October. This does not require registration, if you get the email it means your card is automatically registered for this offer. 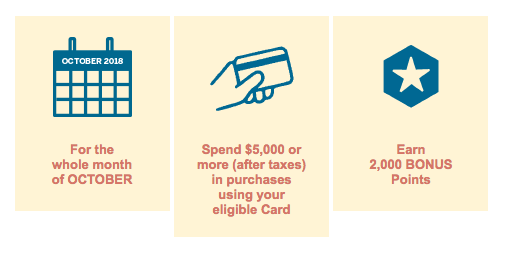 I'm a little surprised the bonus points aren't more, 2,000 points on $5,000 of spending isn't a huge incentive however I figure since this card is a big earner on base points for eats and drinks (5x points) Amex considers you already getting lots of points. Still if you get the email and know you can $5,000 on the card the 2,000 points is worth at least $20 so it's better than $0! I'll try to see if I can hit that amount this month but I know I won't move spending over to the card for 1x categories as the earn on some of my others cards would pretty much make the 2,000 bonus points a wash.
Keeping on the business card news site the CIBC Aventura Visa Card for Business is offering up to 30,000 Bonus Aventura Points along with the first year free as well. 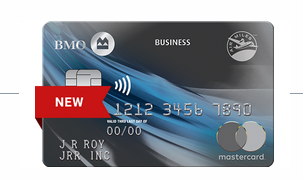 Find out more about that card here. Save 50% on Economy Class award tickets between Toronto and Eastern Europe - only 30,000 miles roundtrip!